HealthLeaders Media introduces FirstLook – an all new in-depth, behind the curtain video case study that explores and examines the new and compelling initiatives that healthcare systems are implementing in their regions. Some health systems see the general downward slide of employer-based healthcare as a threat. Bellin Health in Green Bay, WI, saw it as an opportunity. By instituting changes in their own employee insurance pool, Bellin Health saved $25.6 million over the past several years, leading them to a successful strategy that builds market share, lowers costs and makes care easily accessible for all employees. This groundbreaking approach to employee health has led to Bellin providing a range of on-site services to 125 large companies fed up with rising health insurance premiums, including an on-site clinic at the home of the National Football League's Green Bay Packers, Lambeau Field. The services they offer span a wide range of options for these companies to choose from, including on-site occupational health services, a turn-key corporate health and wellness program, fitness centers, and at-risk strategic partnerships that feature health clinics based on pay-for-performance and shared savings models. As an innovator in the healthcare industry, join Bellin Health executives as they unveil the strategic initiatives that lead to an extensive portfolio including 20 strategic partners and annual revenue growth from strategic partnerships that exceeded Bellin's 10% goal, posting gains from 12% to 18% in recent years. Create pay-for-performance and shared savings model programs with area employers. 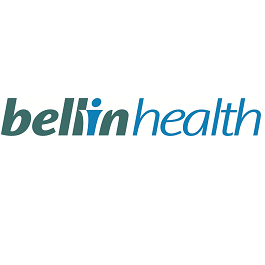 Bellin Health, www.bellin.org, is an integrated healthcare delivery system based in Green Bay, Wis. It has serviced people in Northeast Wisconsin and Michigan’s Upper Peninsula since 1908. Bellin Health has more than 3,600 employees and is known for its emphasis on preventive healthcare and is the region’s leader in cardiac, orthopedics, sports medicine, digestive health, mental health, and primary care medicine. It is comprised of Bellin Hospital, Bellin Psychiatric Center, 31 Bellin Health primary care physician clinics, and several retail health clinics known as Bellin Health FastCare. Bellin also operates Bellin Health Oconto Hospital, a critical care access hospital in Oconto, Bellin Fitness, and Bellin College. Through its Bellin-ThedaCare Healthcare Partners collaboration, the health system was a participant in the Centers for Medicare & Medicaid Services (CMS) Pioneer Accountable Care Program, generating $14 million in savings since 2012. Watch a live clip of this event and see how Bellin is revolutionizing an approach to employee health!